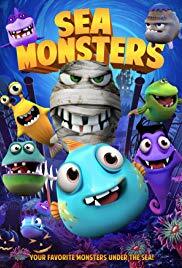 When the funniest Monster fish in the sea contest is announced in the town of Schmert, Charlie and his pals Mucus and Frankfish decide to enter the competition in hopes of comedic glory. However they have one big problem... None of them are funny. The crew's only hope is to set out on an adventure to locate a monster fish legend known as "The Masestro" who can teach them comedy and help them win the contest to become the funniest fish in all of Schemrt!